London, Pluto Press: 1. ed. 2001 – 2. ed. 2013 (thoroughly revised and expanded). Norwegian version – Bergen, Fagbokforlaget: 1. ed. 2002 – 2. ed. 2004 (many errors corrected). — What have I learned from all of this? My career as an anthropologist started with a misunderstanding. After an overdose of T. S. Eliot at a tender and impressionable age, I dedicated significant portions of my youth to the books he refers to in his notes to The Waste Land. Thus I was led first to Jessie L. Weston's classic From Ritual to Romance, later to Frazer and The Golden Bough. I bravely toted home from the city library Volume One of the twelve-volume, semi-folio-sized series, and even read most of it, entranced by the romance of an anthropology that (how was I to know!) had years ago been consigned by more realistic generations to the dustbin of history. So when I first entered the doors of the Department of Social Anthropology at the University of Oslo – housed, for the duration, in a decrepit, one-storey wooden barracks left behind by the Germans after the War (a romantic location, I imagined, not being adequately informed about the paper-thin internal walls, the rotting entrance stairs or the rats)... Anyway, as I entered this temple of romance, what did I find? Ecological anthropology and role-analysis! In time I got the point of this too, but the experience left me with an almost existential interest in the history of anthropology. How could Frazer be god for one generation and irrelevant for the next? And how come Evans-Pritchard kept referring to him anyway? 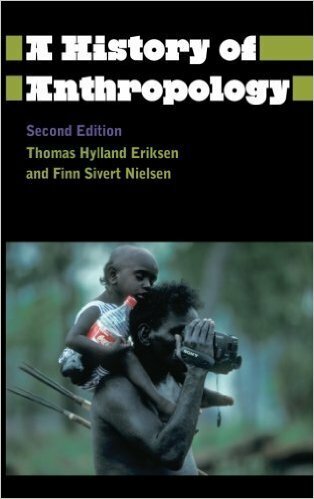 It was at about this time – toward the end of the 1980's – that the idea first occurred to me of writing a history of anthropology in Norwegian. Like many other a great idea, it then curled up in a private corner and proceeded to languish for many a year. Only when I spoke to Thomas Hylland Eriksen about the matter did anything actually happen. Thomas immediately took to the idea and within weeks had sold it to Pluto Press (for the English version), to Fagbokforlaget (for the Norwegian version), and also composed a quick draft of the entire text. 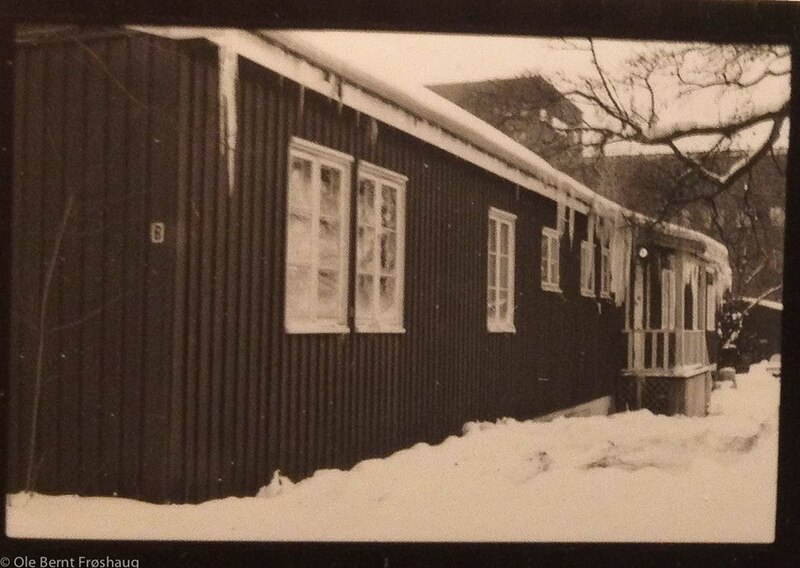 Now it was my turn, and I started, in my plodding way, to fill in some details; I was also awarded the task of digging up information about the history of Nordic anthropology. The first editions were published in 2001 (English) and 2002 (Norwegian). They were quite successful, but had several clear inadequacies: The Norwegian version contained a large number of typos and mostly minor, but often misleading errors. In the English, supposedly international, version we had paid far too little attention to non-Western anthropologies. A corrected Norwegian second edition was published in 2004. The 1st edition is out of print, but if you buy the book used or from Amazon, make sure you get the 2nd edition! Note that the two editions look identical, you have to open the book and check the date of publication on the flyleaf. If you do have the 1st edition, please click here to see a complete list of Errata to the 1st edition. A completely rewritten and expanded second edition of the English version was published in 2013. Take care to buy this edition! Coverage of the German tradition has been expanded (following the Norwegian version). Coverage of non-Western anthropologies has been much improved. Theoretical and methodological issues are discussed in greater detail and depth. Maybe the most surprising insight I have derived from my more than decade-long engagement with the history of anthropology is of the foundational role played by German academic traditions in the formation of modern anthropology. All I had ever heard before about German anthropology were some vague words about the great German museums, some equally vague hints that the concept of "culture" traced its origins in unspecified ways back to German romanticism, and vague but firm assurances that 20th century German anthropology had stagnated and all but died out. Let us consider some of the details of this story; for simplicity's sake, we'll stay with "culture." The fact that Tylor introduced the concept of culture to British anthropology is widely known, nor is it a secret that the concept had far less influence in Tylor's native Britain than in the USA – indeed, this is often pointed out at as a curiosity, a paradox. However, if you consider that Tylor was a friend and admirer of Adolf Bastian (the "father of German anthropology"), from whom he learned the importance of "culture," and that Bastian also was the teacher of Franz Boas (the "father of American anthropology"), who likely had been taught the same lesson... then the paradox dissolves. Tylor did not need to introduce the German concept of "culture" to Americans who knew it well and stood far closer to the German tradition than the British did (though of course Malinowski on the strength of his education must be considered a German). Another interesting figure is the great German psychologist Wilhelm Wundt (the "father of experimental psychology"), whose ambitious attempt at building a systematic discipline of "Völkerpsychologie" deeply influenced many of his students, including such luminaries as Bastian, Malinowski, Durkheim, Rivers, and through them, Mauss and Boas, Radcliffe-Brown and Lévi-Strauss. Every one of the founding fathers of 20th century anthropology was thus influenced by Wundt's thoughts on the psychology of collectives. Someone really needs to write a monograph about Wundt's role in the formation of anthropology! I have also learned a lot about the anthropological histories of the Nordic countries (the Norwegian edition of our book contains about 40 pages that deal specifically with Nordic anthropology; to my knowledge this is the most comprehensive history of Nordic anthropology to date). What has stricken me most forcefully are the national differences between these histories (see this article for details). Finland, which had its great anthropologist (Westermarck) almost two generations too early, and since then rejected all efforts to modernize the subject until the 1980's. Norway, which had its great anthropologist (Barth) at exactly the right moment, and since the 1950's has seen anthropology become widely known and a factor in national policy. Sweden and Denmark, which both had far stronger anthropological institutions than Finland and Norway, showed a more ambiguous attitude to modern innovations. In Denmark, where a single anthropological institution dominated the country, change took place, but slowly, conservatively, without ever quite relinquishing the "culturalist" ties to German – later American – anthropology. In Sweden, with several strong, competing institutions, various attitudes to modernization came to the fore, conflicts erupted, and while the anthropologists quarrelled, the ethnologists took over the large and lucrative market which the Norwegian anthropologists had so successfully cornered – anthropology at home.